Within a year of formation, the group charmed indie music enthusiasts across the blogosphere with their languid songcraft, while the eerie warmth of "Apple Orchard" landed on Pitchfork's Infinite Mixtape MP3 series in August 2006. 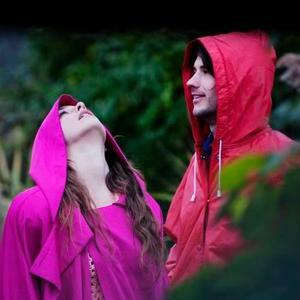 Two months later, Beach House issued their eponymous debut album for Carpark. Fall shows with labelmates Over The Atlantic were also scheduled. Victoria can also be heard on Frenemies' Birds in High School album. She and Chris Freeland created harmonies on the song Waiting for the Ambulance. Victoria can also be heard on Grizzly Bear's 2009 release "Veckatimest" and she sings on "Slow Life", a Grizzly Bear track featured on the official soundtrack for Twilight: New Moon. In September of 2009 Sub Pop Records announced that Beach House had signed and that a follow up album to 2008's "Devotion", "Teen Dream" would be released in early 2010. Beach House was featured as a cover story in a January 2010 issue of the Washington Post magazine.